Which is a UK hardback first edition/first printing of Jonathan Franzen's The Corrections, published by Fourth Estate in 2002 (originally published in the US in 2001 by Farrar, Straus and Giroux). 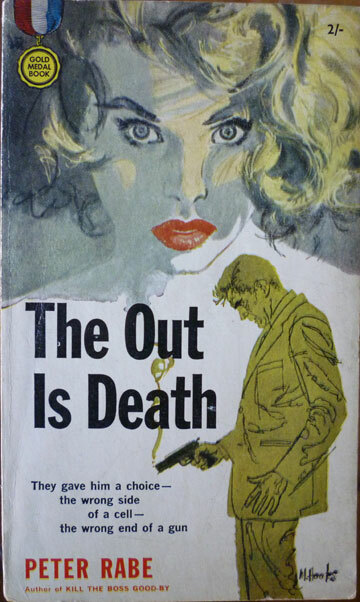 The illustration on the front of the jacket is by Sarah White, while the dustjacket design is by Julian Humphries, who, at the time, was Fourth Estate's art director. 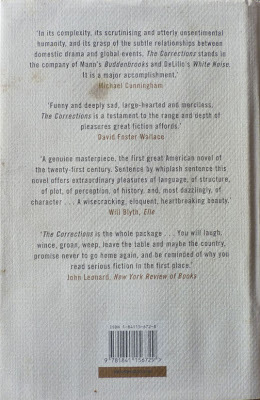 He's since gone on to a wider role at HarperCollins, Fourth Estate's parent publisher, although this 2010 Guardian article about cover design, in which Humphries is quoted, has him down as Fourth Estate's head cover designer. But I guess the two things aren't mutually exclusive. 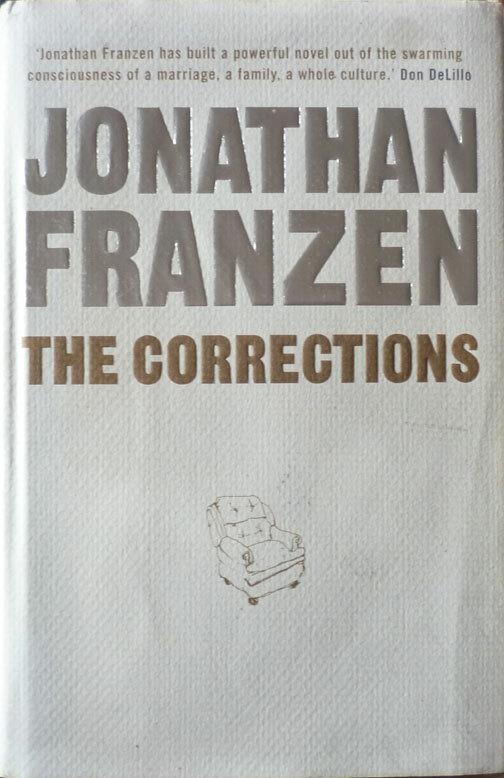 Franzen hit the headlines in the UK last year when the first edition of his follow-up to The Corrections, Freedom, was recalled after it was discovered the version of the novel that had made it into print was an earlier draft, containing hundreds of errors. Most of those would only have been identifiable by Franzen himself, but even so: oops. Weird collector that I am, I toyed with getting hold of a copy of the 'wrong' edition, but then I came across this copy of The Corrections instead, and actually I'd rather read the novel that made Franzen's name first anyway, so I bought it, for, I think, a fiver or so, which, considering first editions/first printings go for anything from twenty quid to well over a hundred, was indeed something of a bargain – even with a slightly grubby jacket. As to where I bought it, it was in the Secret Bookshop, a.k.a. the Bookshop with No Name, otherwise known as the bit downstairs from where local listings and features magazine (and damn fine read) Viva Lewes is based, in Pipe Passage. It's easy to forget about the Secret Bookshop – it is, after all, secret – but it's always worth popping in there if you're passing, as this book demonstrates. And that's about yer lot for this week. Next week – indeed possibly even starting this weekend – I'll be devoting Existential Ennui to cult crime writer and major Donald Westlake influence Peter Rabe. I've covered Rabe before, but I nabbed a bunch of paperbacks by him towards the end of 2010, so I'll have those to show, plus a review of one of his Daniel Port novels, and more besides. I've been holding off on posting it all as I was waiting for a couple of other books by him to turn up, but I fear they may be lost forever. However Stark House Press are due to issue two of his unpublished manuscripts any day, so now's as good a time as any to do some serious Rabe blogging. And looking slightly further ahead, I'll have a run of posts on an author who's become a firm favourite round these parts, Ross Thomas, and a series of posts on Elmore Leonard and his Raylan Givens stories and how they relate to the Givens-starring Justified, one of the best TV shows of the past few years. So lots to look forward to. As a lodger within the building that houses the anonymous Pipe Passage bookshop (or Black Books as I call it to myself), I feel sure the proprietor and Viva's sub-editor, Mr David Jarman, would love your blog, were he not in the words of fellow Viva writer Beth Miller a 'techno-peasant'. I suspect he's allergic to electricity. He's never used a computer to my knowledge (not would he dream of doing so)and would no more use google than he would go salsa dancing in the White Hart. Well there's a lot to be said for blissful ignorance vis both this blog and the internet at large. Surely, though, the genuine Black Books lies just across the bottleneck, presided over by a certain Gallic Bernard Black...? 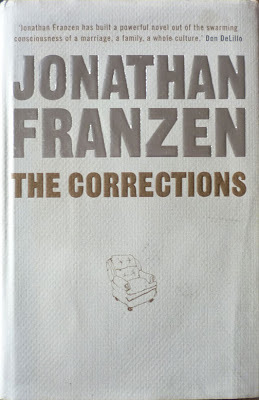 An enjoyable read The Corrections: A Novel by Jonathan Franzen . loved the way you wrote it. I find your review very genuine and original, this book is going in by "to read" list.